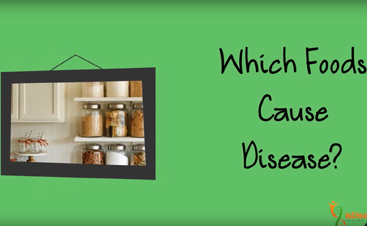 Healthy Food Myth #1 for Valued Subscribers | Is Disease Hereditary? Watch this series to make sure your healthy eating habits are based on current science, not outdated information and myths. 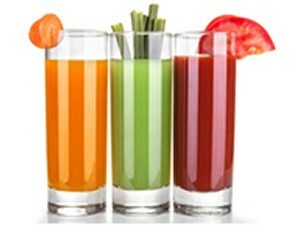 MYTH #1: Juicing and Smoothies are Healthy Meals. It’s difficult these days to know what is, or is not, “healthy” to eat. Not only are we bombarded daily with sensationalized news stories that skew or misreport data from medical studies but our own government policies on health are, unfortunately, marred by agendas of the Big Food industry and other special interest groups. It can be confusing to know where or how to start eating healthy in today’s Age of Information. So much good information that seems conflicting…combined with so much misinformation. It’s challenging even for me to decipher the message, and I’ve been evaluating the medical literature since the early ‘90s. We also currently live in a culture whose diet has been shaped significantly over the last 60 years by commercial processed food products. Initially, these were designed to help the “new” working woman of the ’50s prepare meals quickly and easily but have now been shown to be a major contributor to metabolic dysfunction (which means that your body can no longer process or utilize food correctly) that eventually leads to weight gain, disease, and cancer. A diet rich in processed foods and refined grain products that are high in nutrient-poor starches, sugars, and inflammatory omega-6-rich fats (ie, vegetable oil, soybean oil and seed oils like sunflower and safflower oils) has been shown to lead to cellular inflammation as well as turn ON disease and cancer genes. Diseases that were previously associated with aging, such as diabetes and heart disease, are now becoming epidemics in children. With the new understanding that medical science has of disease and nutrition, the next epidemic that is anticipated to emerge in young adults and children is Alzheimer’s disease. By 2050, if our diet remains unchanged and continues to be founded upon processed food products, then 50% – that’s 1 in 2 people!! – are expected to suffer from Alzheimer’s. That’s a sobering statistic and should be one to motivate even the most skeptical to choose healthier food. The reality is – YOU, have control over your genes based on the lifestyle you lead, including the food you choose to eat. You are not “stuck” with some predefined health scenario handed down to you. You can actually change the way your genes function based on the food you eat, the thoughts you think, and the lifestyle you lead. Understanding how your body communicates in order to maintain health and homeostasis – or balance – will help you understand why it’s important to honor your body and a more natural way of eating, including the importance of taking time to see, smell, and chew your food instead of drinking it. Yes, I know, this will be shocking to you avid juicers and smoothie drinkers – but WAIT!…before you write me off completely, please take the opportunity to read the info I’ve put together for you first. Think about it for a minute. If you took everything that you would usually put into the blender (or juicer) to make your smoothie (or juice), and instead, put it on a plate, chewed it up and ate it….do you think you could finish it all without feeling stuffed full? Most people say no. Chewing your food gives your brain and gut time to communicate with one another and get in sync. This is a critically important step in maintaining a healthy weight and metabolism, and actually curbs (or decreases) your hunger and naturally prevents you from consuming too many calories. If you drink a huge glass of carbs from pulverized fruits and veggies, you’re bypassing this entire step – and not only will you likely consume an excessive amount of calories, you will usually find yourself hungry again in an hour or 2. While smoothies and juicing are definitely more nutrient packed than a traditional American breakfast of bacon, eggs, toast, and hashbrowns, and more nutrient dense than a bowl of cereal or oatmeal topped with a few berries, healthy eating goes far beyond just the food you eat. Digestion starts with visual and olfactory cues….seeing and smelling food initiates the release of chemical messengers (various hormones) that communicate to your brain and gut to be “on the ready” for an incoming delivery of nutrients. This message is referred to as “satiety” and it is a VERY important message in managing your energy intake…more simply, it reduces your hunger. The tricky part of this process is that the messages delivered from the gut to the brain travel a bit slow. This is why the act of chewing is a critical phase in digestion; chewing provides the time needed for the brain to be in sync with the gut. An interesting study in a small group of elderly individuals looked at the effect that chewing had on hunger 3 hours after finishing a meal. They found that chewing food 40 times, compared to 15 times, not only reduced hunger 3 hours later but also decreased thoughts about food and the desire to eat more food. This is very useful information if you are trying to lose, or gain, weight. So you can see how liquid food, similar to wolfing down solid food quickly, doesn’t provide the same satiety response as eating (and chewing) whole food. 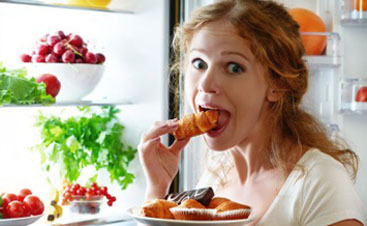 If your brain doesn’t have time to receive the satiety message, then it directs you to continue eating. Because of this, you are more likely to be hungry between meals, especially if you drink large quantities of veggies and fruit alone without any other protein. Additionally, eating a huge 12-ounce glass of fruit in the morning means (1) you have consumed a big hit of sugar all at once that will keep your hormonal-energy balance out of whack, and (2) you have to make up for the missed nutrients and calories from protein and fat in the rest of your meals that day, which may be difficult to accomplish without stuffing yourself at any given meal. So keep servings of liquid foods small and enjoy them as an addition to whole food meals. Take time to nurture your body with nutrition, chew well, and allow your brain time to get in the game. Until then – here’s your CHALLENGE! The next time you get ready to make a smoothie or juice some fruits and veggies, put all of your ingredients on a plate (or in a bowl) and see how you feel after eating everything. I’d love to know the result! Be sure and share it on the “Is Disease Hereditary?” Facebook page.